Managing Addiction, the latest University of Adelaide MOOC, tackles the important topic of how people can recover from addiction, and starts on 8 October. How can we screen for problem use in a range of settings and help people get connected to the right support? What are realistic expectations of treatment to manage both the physical and psychological side of dependence? In the MOOC, leading members of Adelaide’s expert pharmacology team explain the options for management of addictive behaviour in the long term, using their Recovery Pathway Framework, and show how healthcare practitioners can more effectively help clients experiencing addictive behaviours, in any setting. It’s World Mental Health Day on 10 October, and many of us will be considering why it is that many of our friends, family and loved ones experience mental health challenges. Frontline healthcare practitioners bear witness to the fact that that mental health issues and addictive behaviours commonly co-exist, making both the addiction and its effects on physical and mental health very difficult to disentangle and treat. The impact is so much bigger if we treat the whole person and look at their strengths and challenges. Unlike most online courses about addiction, Managing Addiction not only explores the reasons people become addicted, but provides insight in the range of options we have to help manage addiction using a structured framework. Many frontline staff may not feel equipped to work with, or feel empathetic towards, people using drugs. Adelaide’s MOOC team wants to empower people in a general setting, such as in general practice or emergency departments so they understand the addiction and see how they can be an important link to someone’s recovery pathway. In the course, learners will work through a “Recovery Pathway” – an easy-to-use framework for helping people with addiction move successfully from addiction to recovery, through screening and assessment, withdrawal and long-term relapse prevention. From psychosocial interventions to medication-assisted treatments, learners will review the biological basis of behaviour and treatment as well as considering evidence-based treatment and service delivery. Managing Addiction is an ideal starting-point for healthcare professionals who want to get to grips with potentially effective approaches to treating addiction to help manage addiction effectively in the long-term. Managing Addiction is now open for enrolment. Honor Code Certificate and Verified Certificate options are available. The course will be live from 8 October for 5 weeks and will then be available for learners to audit on demand. 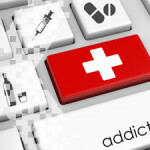 Enrol at Managing Addiction (course starts 8 October). Connect with the MOOC team at Facebook. Find out more about World Mental Health Day (10 October). This entry was posted in AdelaideX, Massive open online courses, New Course Announcements and tagged Addiction, Adelaide, AdelaideX, Healthcare, MOOCs, Online learning, Pharmacology, University of Adelaide. Bookmark the permalink.